Iconic PALM360 will be the tallest structure on the island, with world’s largest sky pool, luxury hotel and branded residences. Cannes, France – 5 December 2017 – AccorHotels, the world-leading travel and lifestyle group, today signed a management agreement with leading Dubai-based master developer Nakheel for the expansion of AccorHotels’ globally-renowned luxury brand, Raffles Hotels & Resorts. The agreement, recognised by Nakheel Chairman Ali Rashid Lootah and Sébastien Bazin, Chairman and CEO of AccorHotels at a signing ceremony at the International Luxury Travel Market (ILTM) in Cannes (France) will lead to the opening of PALM360, a spectacular two tower development on the world famous Palm Jumeirah comprising of the Raffles The Palm Dubai Hotel and Raffles Residences PALM360. The hotel component will offer 125 hotel rooms and suites, whilst the 359 branded residences – including 16 branded penthouses that will each have their own private infinity pool, gym and cinema – will be available for purchase. Residence owners will be able to enjoy Raffles’ legendary services, including concierge, private transportation and in-residence dining. They will also enjoy global VVIP status through an exclusive Ownership Benefits Program. “Palm Jumeirah has quickly evolved into one of the most sought-after addresses in the world, offering the ultimate in luxury living and leisure. PALM360 will further enhance the island’s global appeal, which already attracts millions of visitors each year. We are delighted to partner with AccorHotels for this awe-inspiring development that will take our rapidly-growing hospitality portfolio to new heights, and become the luxury destination of choice for discerning travellers the world over,” he added. .
Recognising that wellness is a vital component of daily life, especially for guests on the go, the resort will feature high-quality, well-equipped fitness and wellbeing facilities at the Raffles Spa, Health Club and tennis court. The hotel and branded residences will also feature a fully-supervised children’s club to complement its leisure offering. Located on Palm Jumeirah’s 11km crescent Boardwalk, PALM360 is close to upcoming attractions such as The Palm Promenade, The Pointe and Nakheel Mall, with Dubai’s key business and leisure hubs within easy reach. The luxury property will offer guests a distinct resort feel with direct private beach access, a specialised private beach club along with thoughtful, personal and discreet service synonymous with the Raffles brand. 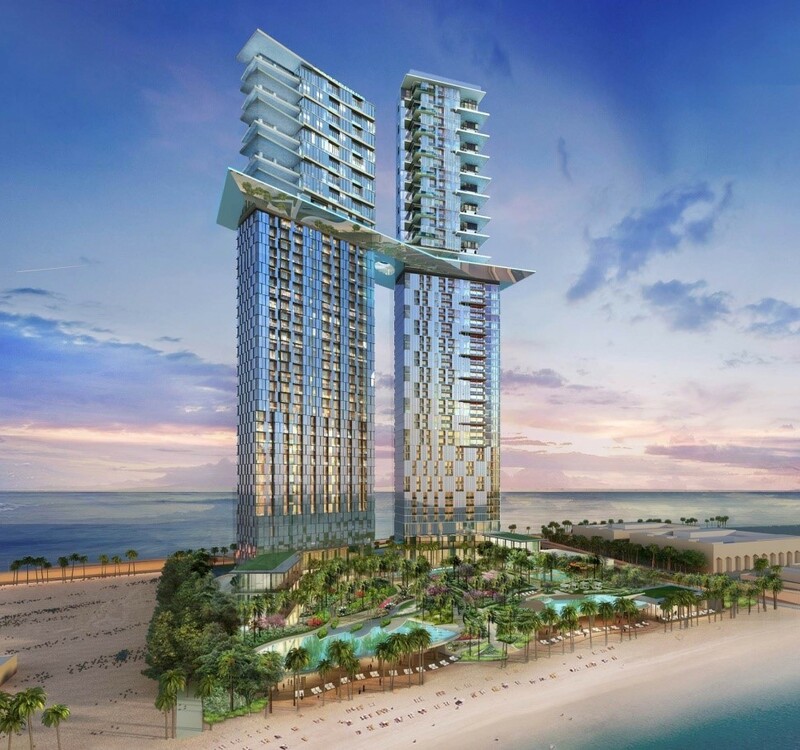 PALM360 joins 16 other hotels that form part of Nakheel’s USD1.3 billion hospitality expansion programme that is set to deliver close to 6,000 rooms and hotel apartments across Dubai. The first two hotels, at Dragon Mart and Ibn Battuta Mall, opened last year, with the rest under construction or development. Raffles The Palm Dubai and Raffles Residences PALM360 joins 11 Raffles Hotels & Resorts around the world, including Raffles Dubai. The remarkable collection of charming luxury hotels and resorts is located in many of the world’s largest cities and holiday destinations such as Paris, Istanbul and the Seychelles. Raffles properties feature distinct amenities including the Raffles Butler Service, Raffles Spa, Raffles Long Bar and Raffles Writers Bar. Raffles Hotels & Resorts is a luxury brand with an illustrious history dating back to 1887 when the world-renowned Raffles hotel first opened its doors in Singapore. Today, the remarkable collection includes twelve extraordinary properties in many of the world’s best cities and top holiday destinations including favourites such as Paris, Istanbul, and the Seychelles. Many more exciting locations are also on the horizon with new hotels being developed in destinations such as Warsaw and Jeddah. Whether it’s a secluded resort or a lively city-centre, each Raffles promises an oasis of calm and charm and a compelling mix of cultures and styles, and has its very own story to tell. Part of AccorHotels, a world-leading travel & lifestyle group and digital innovator offering unique experiences in more than 4,100 hotels, resorts and residences, as well as in over 10,000 of the finest private homes around the globe. Raffles is proud to draw on the timeless essence of Raffles – to deliver thoughtful, personal and discreet service to well-travelled guests. For more information or reservations, please visit raffles.com.